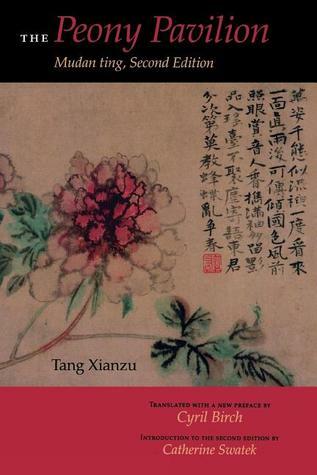 Tang Xianzu, The Complete Dramatic Works of Tang Xianzu, Bloomsbury China, 2018. Tang Xianzu (1550–1616) is acclaimed as the 'Shakespeare of the East' and widely regarded as China's greatest playwright, yet his work has not reached Western readers in its entirety. 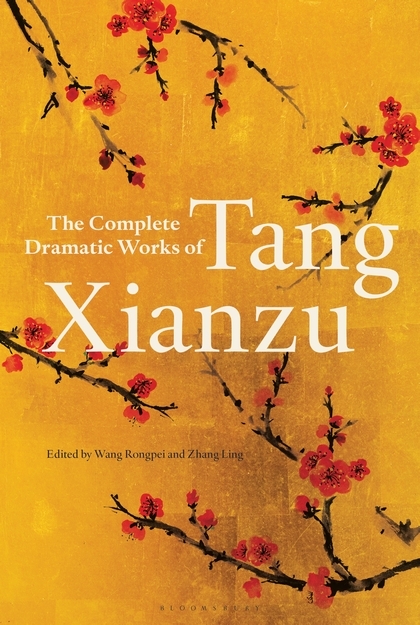 The Complete Dramatic Works of Tang Xianzu represents a literary landmark: this is the first English-language collection of the revered dramatist's most important works to be made available outside China. Translated over two decades, the collection showcases the playwright's major pieces, including The Purple Flute, The Purple Hairpins, The Nanke Dream, The Handan Dream – and The Peony Pavilion. The Peony Pavilion is the playwright's most celebrated work and has drawn comparisons to Homer's Odyssey, Virgil's Aeneid, Dante's Divine Comedy and John Milton's Paradise Lost. Known for his lyrical use of metaphor, Tang Xianzu weaves the beauty of nature with the tragedy of emotion. His plays offer an extensive exploration of love, and remain at the heart of Chinese culture. This important collection represents an opportunity for a wider audience to discover the profound and poetic works of this classic playwright. My hometown is by the beautiful Wujiang River. I often sang the song of"Cherish while Ye May"
Till I was separated from my beloved one. I seemed to be half-tinted with autumn bleakness. But was given the cold shoulder in the house of Prince Huo. What's the use of talking about make-up? I am nothing but a lonely azalea. Shancai, go and see whether there are ladies burning joss-sticks in the Queen Mother Hall! Who will come after noontime? Have a look outside for all that! And drifting white clouds above. Stands against the setting sun. Fragrant incense smoke permeates the place. It turns out to be Liuniang and Princess Xiaoyu! Judging from your headwear, are you married,Princess? If they are their country’s respective greatest playwrights, Shakespeare and Tang Xianzu share more than status: both wrote during the same period, and died in 1616. One can see why excited comparisons between the two have prospered for so long. Tang Xianzu was born in 1550 in Linchuan, now known as Fuzhou, in the Jiangxi province. He initially joined the civil service after passing China’s famous government examinations: the provincial exam at the age of 21, and the imperial one at 34. Despite leading a successful, if undistinguished, career as a minor official, he retired in 1598 to devote himself to writing. His reputation in China is that of a very straight, honest figure—one strictly against the bureaucratic corruption so typical of the time—and it is said he left government employment because his coworkers didn’t like him for it. Although he was also a poet, novelist, doctor, astronomer, fortune teller, and geographer (! ), Tang is known predominantly for four plays, banded together under the name The Four Dreams of Linchuan. The individual plays are: Zi chai ji (The Purple Hairpin), Nan ke ji (A Dream Under a Southern Bough), Handan Meng (Dream of Handan), and, most famous of all, the Mu Dan Ting (The Peony Pavilion). First performed in 1598, the full text of that last work contains a grand total of 55 scenes, and can run, depending on the production, for more than 20 hours. Most performances however, do without its many subplots to focus on the two main characters: Du Liniang, the daughter of a governor, and Liu Mengmei, a scholar. The former dies after dreaming of meeting a young man in a peony pavilion; the latter meets and falls in love with her in a dream three years later. The rest of the play features resurrection, a disbelieving father, and a merciful emperor (among other things). There’s no going around it: the Mu Dan Ting is China’s most popular play, to the point of being included in the repertoire of every kunqu theater troupe. It also encapsulates why Tang Xianzu himself has been, since then, so revered: At once a deeply emotional and poetic work—considered the Ming dynasty’s literary high point—it also set its premise in direct opposition with the time’s feudal ethics. ‘True love’ is portrayed as a more worthwhile pursuit than simple observance of strict mores, and calls for freedom and emancipation. This spirit is followed through by the play itself, with Tang’s work flouting the period’s dramatic conventions, mixing—as Shakespeare did—‘low’ comedy with high tragedy. China and Britain will honour their most famous playwrights, Tang Xianzu and William Shakespeare, with a series of events this year. The dramatists were contemporaries who lived thousands of miles apart, and both died in 1616. This has led numerous scholars to conduct comparative studies of their works, which remain hugely influential to this day. Shakespeare’s plays are a mainstay of the British school curriculum, while Tang’s best-known opera, The Peony Pavilion, continues to be performed worldwide. Both were “great men in the circle of world drama”, said Aoki Masaru, the Japanese scholar and sinologist, who many credit as being the first to link the Bard with Tang in his 1943 book A History of Chinese Literary Thought. To mark the 400th anniversary of the writers’ deaths, plays, seminars, book fairs and lectures will be held to celebrate their legacies in China and Britain. “Celebrations for Shakespeare and Tang will be the highlight of China-British cultural exchanges in 2016,” said Xiang Xiaowei, minister counsellor for culture at the Chinese embassy in London. The celebrations will include a special stage production, A Midsummer Night’s Dream Under the Southern Bough, which has been billed as “when Shakespeare met Tang”. Aimed primarily at student audiences, the show is a blend of A Midsummer Night’s Dream, the Bard’s comedy of magic and mismatched love, and Tang’s A Dream Under the Southern Bough, an opera about a soldier’s fantastical journey through a kingdom of ants. The play, to be staged in Leeds, Edinburgh and three cities in China from July to September, is being organised by the University of Leeds Staging China, its Business Confucius Institute, and the University of International Business and Economics in Beijing. As the cast will mostly be made up of Western actors, the show will be a spoken-word performance with musical accompaniment. “Spoken word presents an opportunity to break with convention while still being inspired by it, and creates a new world for Tang’s characters to inhabit,” Ansell said. Last month Zou Yuanjiang, a philosophy professor at the University of Wuhan and vice-president of the Tang Xianzu Research Society, was invited to talk on The Peony Pavilion at several British universities. Such tours “not only illuminate the work of a legendary Chinese writer to audiences in Britain, but also have a great impact” among young Chinese people, said Li Ruru, a professor of Chinese theatre studies at the University of Leeds, who helped organise Prof Zou’s visit. By comparing the literary greats “we’re raising awareness among British scholars and readers, so that they look more carefully at what is out there in terms of Chinese classics”, said Tian Yuan Tan of the University of London’s School of Oriental and African Studies, who co-wrote the book 1616: Shakespeare and Tang Xianzu’s China. Adam Strickson, a fellow in theatre and writing at the University of Leeds, who has studied the works of Tang and Shakespeare, said both “shared a love for mixing the low life or the bawdy with the sense of a tortuous moral journey of self-discovery”. They also use dense and layered poetry to go beyond the surface, he said, and the metaphor of the dream as a journey of confusion and enlightenment is central. Tang Xianzu (1550-1616) is considered China's greatest playwright and is revered in a country of great literary and dramatic traditions. The writer's most famous works, known collectively as the Four Dreams, are still performed throughout China today on the Chinese Kun opera stage.